If you love driving and riding in an RV, then it is greatly possible that you love to get back to nature and leave the modern world. However, this does not necessarily mean leaving behind all modern conveniences. For the modern electrical appliances in your RV, installing the best RV surge protector is a must. Note that the electronic appliances within your RV are among those designed to keep you entertained while still letting you enjoy the modern conveniences even if you decide to be one with nature for the time being. They are even designed to help you connect and communicate with your loved ones. You also have to take note of the fact that a power pedestal powers such appliances. The problem is that there are times when this causes some damage to your onboard electrical appliances. With that in mind, it is really necessary for you to have the most reliable RV surge protector to give you protection on your trip. If you are still unaware of what an RV surge protector does, then be aware that its main function is to provide an overload protection in those instances wherein there are power surges and other issues. It is also designed in such a way that it can provide protection from circuit overuse inside your RV. Such kinds of protection are necessary for ensuring that you maintain the zone of electrical action with safe levels. The following are short yet immersive reviews of the top 10 RV surge protectors you can easily access in the market today so you can make a better decision during the time when you need to make a choice. One of the most trustworthy and reliable brands I can recommend for those hunting for surge protectors is the Progressive Industries. In this case, one of its products that continue to receive good reviews from several users is the 313.1168 SSP30X Smart Surge Protector. I am glad that I came across this specific surge protector because it is indeed a great performer in the market. It is portable, which is one main reason behind the ease of using it. It comes equipped with a polarity tester too, which is actually a major help if you plan to check the status of the power source prior to using it. The fact that this surge protector is the portable type means that you do not need to install it. All it takes to work is to plug it to the right sources. Another reason why I am genuinely interested in this surge protector is that it has a compact and sleek design, a plus for RV owners, especially if there is a limited space. Another benefit of this specific surge protector is that it is primarily designed to be used outdoors. It also has thermal protection while also boasting of its surge failure indicator, giving you an alert or indication any time there is a power surge. Three indicators are also present in this device. These are colored and bright LED lights. However, despite its good quality, it still has a drawback, such as the fact that it lacks reverse polarity and LCD display. If you are searching for the best 30-amp RV surge protector then I am pretty sure that the TRC Surge Guard 44260 will not cause any form of disappointment. One thing that tends to leave a good impression among the users of this surge protector is its versatility as I noticed that it is not only made to handle RVs. I found out that anyone can also bring it together with their other camping supplies during travel outings and camping trips. It is fully reliable in the sense that it can truly give the protection that any RV user demands. I am also impressed with its ability to offer up to 2,100 joules of protection rating. I am in favor of this surge protector, too, because it is portable. It eliminates the need to install it in a complex manner. You just simply need to plug it in line with the source of power. Once plugged in, expect it to give you peace of mind since you know you are secure. The surge protector is also multifunctional. It is capable of doing several functions – one of which is identifying a faulty power in any park. It also works in verifying the pedestal power by analyzing circuits. I am also glad that there are indicators in this surge protector as I find them useful showing the current power status. Furthermore, this surge protector is weather-resistant, allowing it to function even during windy and wet conditions. A lock hasp also comes with it, which is helpful in securing your rig. The indicator lights are not as strong as some users hoped, though, which is one of its minor flaws. 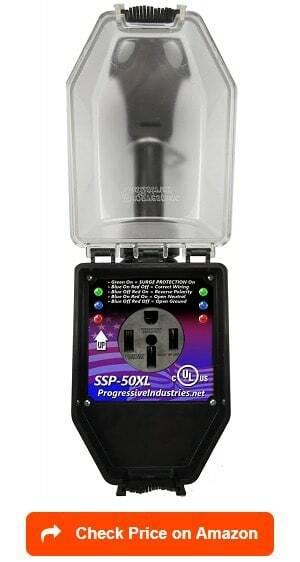 Another bestselling product from the trusted Progressive Industries is the SSP-30XL Surge Protector. One thing that I think makes this product impressive is the fact that it has a UL seal. This is a strong indication of how this product is trusted by the mentioned certifying body. One thing I admire the most about this product is its non-complex installation process. You can easily set this surge protector up provided you follow the included photos and instructions. It is also designed in a way that it can serve several functions – one of which is instantly detecting open neutral, open ground, and reverse polarity. I also figured out that overall, it is constructed to be used outdoors. That’s why I can assure most users of the weather-resistant nature of this surge protector. It even comes with an all-weather shield assembly as well as a thermal protection. I am also happy to say that it has a unique and secure design – thanks to its sturdy pull handle and locking bracket. With the 3-color bright LED indicators integrated into this surge protector, I am also sure that it will not fail to give you alerts or notifications in case of certain issues. I am happy that it is well-made plus you will never find it too complex to use. You will even enjoy the simple and easy to use nature of this surge protector. However, take note that it is bigger than what others initially expected but it is still completely manageable. Another trustworthy product that you can expect to offer utmost satisfaction is the Camco Heavy-duty Dogbone RV circuit analyzer. One of the things that leaves a good impression on me regarding this surge protector is its effectiveness in protecting your electronics, especially from electrical boxes with an improper wiring. 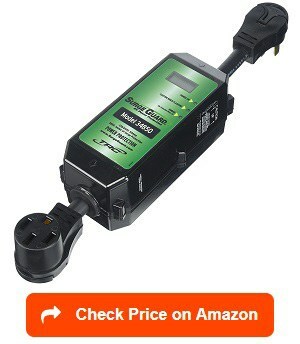 It performs such function by providing you with an instant visual indication about certain faults prior to letting you connect the power cord of your vehicle into an electrical box. It has the capability of offering a max of 2,100 joules surge protection, which is a pretty good protection rating. The diagnostic lights of this unit work well in terms of giving you an indication regarding certain issues. One more favorable benefit is that you can safely and easily plug and unplug it. It is mainly because of the power grip handle present in the unit. It is known to be weather-resistant, too. 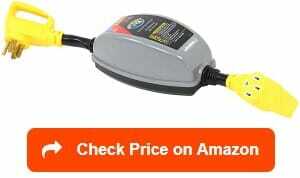 It is a tough and sturdy circuit analyzer and surge protector in the sense that it can offer protection to your RV. Using it is not complicated, too. You can even find a clear legend in front, which lets you know the meaning of each indicator light. Furthermore, it boasts of its high-quality construction and its reasonable price. Despite being weather-resistant, it does not seem to work that effectively when used during heavy rains, though. 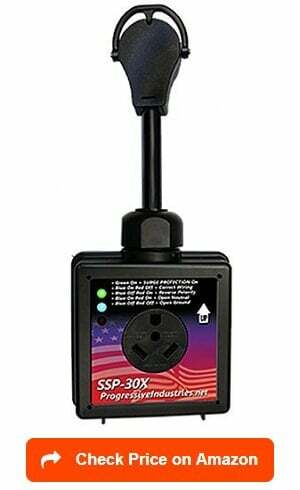 If what you are looking for is the best 50-amp RV surge protector then I highly suggest checking out the SSP-50XL model from Progressive Industries. This is a reliable Progressive Industries 50-amp surge protector, and you will notice such reliability right after you check its overall construction. I instantly noticed that it provides a good value for its actual price considering the fact that it boasts of up to 1,650-joule surge suppression and protection rating. It is also constructed in a way that it can detect reverse polarity, open neutral, and open ground right away. Such will inform you about any issue even before you plug it. An indicator light will also alert you in case of improper wiring in a power pedestal. In addition, the unit works really well in terms of giving you warnings just in case there are surge failures. That way, you can give your RV the ultimate protection. It even comes with a thermal protection to further improve safety. One more remarkable thing I wish to highlight in this unit is its sturdy pull handle. The presence of this handle is truly a big advantage as it promotes ease in plugging the unit to any shore power. With the help of its 3-color bright LED indicator lights, I am sure that you will instantly receive alerts for certain issues, too. The display showing the indicators is clear, as well. Furthermore, this surge protector is offered at an inexpensive price. However, take note that it might also cause you to face difficulty fitting it into your vehicle because of its somewhat larger than standard dimensions. It is also worthwhile to check out the Technology Research Surge Guard 44270 Protector. I am so happy with the fact the portability of this unit. It is portable enough that setting it up and making it work is a totally easy and quick process even if you are not familiar with it. Similar to the previously mentioned product, this works as a 50-amp protector. 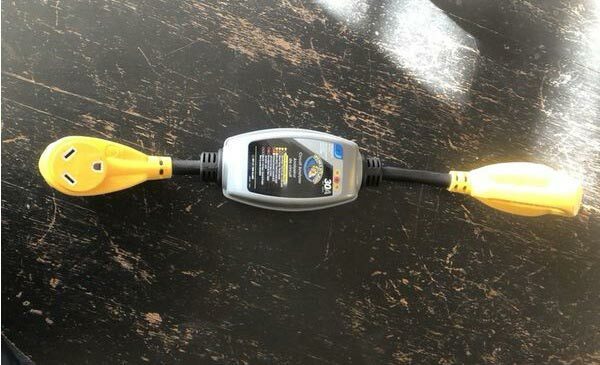 It also does its functions pretty efficiently, especially when it comes to spotting right away whether the power in a park or campground is faulty. Such can give you peace of mind since you know that you always connect to a safe and secure source of power. This unit also boasts of its surge protection rating of up to 4,200 joules. Aside from that, it also works effectively when it comes to analyzing circuits – that is a good thing, especially in terms of verifying or confirming the power of the pedestal. Furthermore, it is designed to show you the status of power – thanks to its clear indicators. Another impressive fact about the surge protector is that it has the ability to handle all possible weather conditions. Rest assured that it works well even when there is snow, rain, extremely hot sun, or any other harsh conditions. Moreover, it gives the necessary protection and security during open neutral and open ground cases. It even works in correcting polarity. However, the display is not as bright as the other surge protectors so I am hoping that this product will improve in this area. I can also say that Progressive Industries continues to show RV users that their brand is one of the best in the industry by ensuring that the Progressive Industries EMS-PTX50X continues to deliver what it promises in terms of function and performance. With that, I instantly realized that Progressive EMS-PT50X is definitely the most solid solution for those searching for a surge protector with a 50-amp rating. What is good about this unit is that it has almost everything that you need in a surge protector. Made by a reputable company, you are also guaranteed of its quality and good performance. I also appreciate the weather-resistant nature of this surge protector. Such nature allows it to handle all possible weather conditions. I am also happy to say that this unit boasts of an open reverse neural polarity as well as an excellent protection against under or overvoltage. Furthermore, it comes with a surge failure indicator for the convenience of its users. You can even expect this unit to boast of its time delay standing, which works at around 136 seconds. Designed for use outdoors, you will never have a rough time when you are on the road. It also comes with a rugged pull handle, making it easier to use and manage. Moreover, it has a current indicator and scrolling digital display. It is designed to be lightweight, too. However, take note that this specific unit does not have an LCD display. You might also want to check out another product from Progressive industries, which is the Progressive Industries EMS-HW30C. 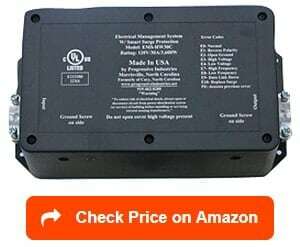 I highly recommend this system, especially if what you are looking for is a 30-amp unit, which falls under the hard-wired type. It caught my attention because of its ability to provide protection against open neutral and open ground, as well as detect reverse polarity. 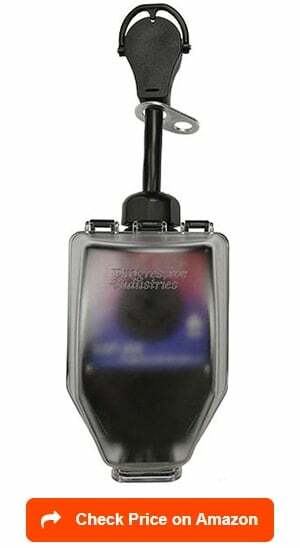 It can also give you peace of mind regarding the safety of your rig because of its under/over protection. With this kind of protection, your vehicle will be protected from all surges as well as low voltage. It also boasts of it thermal protection and its A/C frequency protection. One more thing that this specific unit from Progressive Industries can do is that it saves previous error codes. With such ability to save, you will find it easier to troubleshoot some issues in the future. A remote display is also present, giving you the opportunity of seeing the status of the unit while it is still in your vehicle. I also figured out that this is one of the most nicely made electrical management systems and surge protectors in the market. In fact, you will love its lighted front, which shows status in a readable and understandable manner. With that, you also have an assurance that you can do the proper wiring for it. 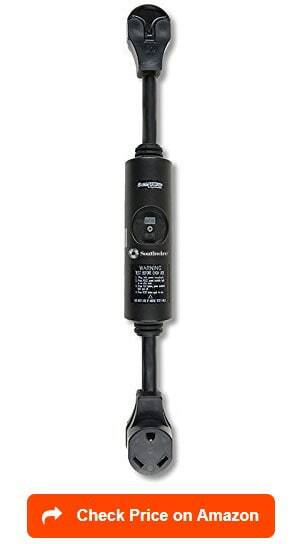 One major drawback of this unit, though, is that it somehow comes with a tight connection, which sometimes causes difficulty when it comes to plugging it in. Another unit that I highly advise that you should include in your list of options is the Technology Research 44750. I have to say that this unit never fails most of its users as far as its performance and the level of protection it provides are concerned. It is compatible with travel trailers, pop-ups, and recreational vehicles. I am happy with its overall construction considering the fact that this unit also boasts of its shock shield and protector. It also offers protection against shocks. It is a weather-resistant unit. In other words, you will not experience any problem using it in whatever weather the place you decide to visit is in. I would also like to highlight the user-friendly plug handles of this unit. With such handles, you will always find it convenient to use this surge protector in the majority of cases. It can deliver a surge protection rating of up to 510 joules, which is already pretty decent for the majority of RV applications. One more thing that I am so glad about in this surge protector is that it has the ability to shut off the power automatically just in case there are ground faults. With such ability, I am sure that users will always feel protected while enjoying their time on an adventure. However, some users say that it seems to be lacking in terms of protection because it does not give utmost protection against low voltage. Lastly, I would like to suggest researching about the Technology Research 34850 Surge Guard. One thing I find so good about this unit is that it has the ability to provide two times the joules provided by its previous models. I am also happy to say that it is made to be capable of monitoring amp and voltage draw and reverse polarity continuously. I also found out upon research that it is compatible with trailers, motorhomes, and RVs, especially those using a 50-amp service. It can also offer protection to your AC compressor – thanks to the 128-second reset delay that it has. As for its surge protection rating, expect it to go up to 3,850 joules. It also boasts of its automatic reset, which is good for a more convenient experience during power restoration and plug disconnection. It is also safe and protective in the sense that it can shut off power automatically in case of overheating as well as the open ground. It is a lightweight unit, too, which is the reason why it is not that hard to handle. Furthermore, you will feel glad to know that it has user-friendly and convenient plug disconnection handles. However, you will notice that this unit also has some issues, such as the fact that it lacks a surge failure indicator and a fireproof feature. A power surge protector will always be a vital component of your recreational vehicle. Keep in mind that all your onboard electronics and appliances fully rely on a source of power for their performance. With that in mind, they are indeed prone to excess voltage coming from the source of power. To avoid potential damage to your onboard electronics and appliances, it is important to have a power surge protector around. With such device, you can keep your appliances safe from any excessive bolts. The number of ports – Checking out how many ports is present in a specific surge protector is essential because it will help you determine whether you still need to change multiple surge protectors. In most cases, this device comes with four ports. You can also find those with 6, 8, and 12 ports. The best thing that you can do, in this case, is to figure out the specific number of ports needed in your recreational vehicle. Note that you can determine such number based on the kind and the number of appliances that are within your RV. If your RV only has a few electronics, then it is not necessary to invest in a surge protector with too many ports. The specific gear you plan to plug into the RV surge protector – Another thing you have to remind yourself of is the fact that most of the appliances present in an RV have differences in terms of the power they consume. They also differ in terms of the losses you may incur just in case an excessive voltage happens. Such plays a major role in the specific type of protector that you need. For instance, if your RV has a TV, phone, and refrigerator then it is a must to invest in a truly robust and sturdy surge protector. This can help ensure that all these appliances are protected in those instances when there’s an excess voltage output from the source of power. UL seal – Another thing you should consider checking in an RV surge protector is the UL seal. Remember that the best ones are usually those that receive the certification from the Underwriter’s Laboratory (UL), so those with a UL seal are usually trustworthy. Such seal somehow provides an assurance that whatever you plug into the surge protector will receive the protection it specifically needs. This also prevents any major concern just in case there is an excessive voltage. Power rating – Another vital consideration is the power rating. What you have to do is to figure out the specific amount of power required by the electrical system in your recreational vehicle in order for it to function correctly. You should then get a protector rated above the maximum level of energy consumption that you have determined. By picking a surge protector with a higher rating than what your RV specifically needs in terms of energy, you will have a margin of safety in case of severe issues. The level of safety provided – When figuring out a specific RV surge protector’s pros and cons, one thing that you have to analyze is the level of safety that it can specifically provide. Aside from ensuring that it suits your required power ratings and level of output, you also have to scrutinize whether there are additional safety features. Among the safety features that you should consider looking for are automatic problem detection, indicator alarms or LED lights, and emergency or auto shut-off switches. Cost – Of course, you also need to determine how much a specific surge protector costs before buying it. Your goal is to find one, which is not only cost-effective but also perfectly fits your budget. Do not make the mistake of looking for the cheapest one, though, while sacrificing quality. What you have to do is to look for a product, which provides a good balance between quality, safety, and price. Configuration and installation – Another important thing to remember is to look for an RV surge protector, which is not that difficult to install or configure. Avoid those that are extremely complicated to install as this might only lead to misconfiguration during the time when you install it. If possible, look for a simpler and more straightforward surge protector so installing it will be a breeze. Joules rating – Another vital factor to consider is the protection rating. This is often measured in joules. In case of an excessive energy because of spikes, the device should be able to dissipate the heat. Look for a unit, which is capable of protecting you from dangers that might happen because of overheating. LED display – Most surge protectors at present come with displays that serve as cautions and indicators, too. Some of the displays, though, are quite difficult to comprehend, especially during the day and night. Because of this, you have to look for one with a bright display to avoid any difficulties reading it. The noise level – Another factor that should contribute to your final decision is the noise produced by the protector. Note that some models of this device produce noise when it operates. An extremely loud noise is annoying and distracting, especially when parking the vehicle in a quiet place. With that in mind, you have to find a protector, which produces the least noise in comparison to the others. Type – Another thing you have to decide on is the type of RV surge protector you need. Basically, you have a couple of options – the portable type and the hard-wired type. The portable type is one that you have to hook up into the pedestal physically prior to plugging it in your recreational vehicle. One advantage of it is that it does not require you to do some wiring work as a means of hooking it up. All it takes to make it start working is to plug it into the pedestal then to the unit. It is that easy. You can also easily replace it just in case of issues. The hard-wired type, on the other hand, refers to a surge protector, which you can mount and hardwire physically inside your vehicle. In most cases, you can put it right next to the power wheel. One of the major benefits associated with the hard-wired type of protector is that it eliminates worries regarding hooking up anything. The fact that it is concealed from view can also give you peace of mind since you no longer have to worry or think about anything that might get stolen. It is also internal, which means that you will not encounter issues having to drag it on the floor or as far as rain or water contact is concerned. What is an RV Surge Protector? An RV surge protector is a device that you should use in case you want to give utmost protection to the electronics inside your vehicle. It is designed in such a way that it can protect your electrical devices against any spike in voltage. Note that the basic definition of this device actually has two versions. One is the standard surge protector, which you can use by plugging it into the campground’s power pedestal before plugging the electrical cord of your RV to it. One of the main functions of a surge protector is it protects your vehicle from a surge of electricity, which might be transmitted via the power pedestal. It could be because of a malfunctioning power pedestal or a strike of lightning. The electrical surge might also be caused by the electrical lines that transmit it. It prevents your RV from getting too exposed to heat as the device blocks it. The second version is the more sophisticated surge protector that features a more advanced technology. 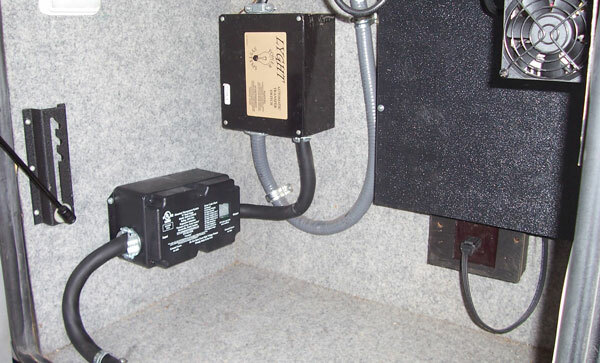 With that, it protects your RV not only from electrical surges but also from other issues, like high and low voltage. This means that if you plug into an electricity, which runs at a low voltage, such as less than a hundred volts then the protector works by cutting power. This will prevent your RV equipment from operating using that low voltage, lowering the risk of serious and costly damages. These sophisticated and advanced surge protectors can also offer complete protection from miswirings that occur in a power pedestal. This makes this device a very valuable investment. How does an RV Surge Protector Work? The main purpose of an RV surge protector is to offer assistance each time you plug your vehicle to an unfamiliar or unknown source of power, like in your friend’s home, in an RV park, or in a storage unit. It mainly works by analyzing the source of power to figure out whether it is neutral or at a proper ground. It prevents issues related to reverse polarity, as well as low and high voltages. You can also expect it to work in monitoring any changing situations, such as low and high voltages and surges. This specific device also functions similarly to the one used for your home electronics. What makes the one used in the RV different, though, is that you can conveniently plug it to a power pedestal at a specific RV site. You will also notice that it features a kit, which you can use when it comes to directly wiring the device to the primary power feed. It is available in 30-amp and 50-amp models. What you have to do to make the surge protector function the way it should is to plug the power cord of your RV into it first. The next thing to do is to flip on the breaker. Wait for a few minutes as it takes a while to check and keep track of the incoming source of power. It examines such source of power for proper voltage, neutral condition, grounding, reverse polarity, and frequency. The surge protector also works by constantly keeping track of power situations. This is to ensure that in case there are certain changes, the device will immediately cut the power to your RV. This specific function can offer protection to your expensive devices and electronics, thereby preventing costly damages to them. In selecting the best RV surge protector for your needs, you have to familiarize yourself with its various types and the pros and cons of each. Luckily, such details are mentioned in this specific section. Primary surge protector – Each time you think about surge protector, you may refer to small attachments that can be easily plugged to an electrical outlet. While it is true that these protectors have better visibility, the majority of protection against electrical surges can be provided by the primary RV surge protector. This type is important as it works in protecting inner wirings from any surges in power. It also keeps your onboard appliances fully protected. The only downside of this protector is that it is a bit large, so it might be quite difficult to manage and install. Still, its large size is a big advantage as it also indicates that it is powerful and effective. Secondary surge protector – Probably, this type is what anyone will think of each time they imagine an RV surge protector. It is small and portable, making it possible for you to plug it conveniently into an electrical outlet. While it is less powerful when compared to the primary type, this one is easier to use and more portable and convenient. Power strip – This is actually one version/kind of secondary protector. What is good about the power strip is that you can easily plug it to an electrical outlet. It is also unique as it has several outlets, making it possible for you to plug several appliances to it. Furthermore, it is effective in cutting power in case of an electrical surge. This specific function makes it highly efficient in offering protection to your appliances, especially against damage. Uninterrupted power supply RV surge protector – This one is available in various styles. You can even find power strips that fall into this category. What makes this surge protector different is that it comes with a battery. In case of a power surge, this device will instantly cut the power off, leaving your electronics and appliances unpowered. Hardwire – You can also pick the hardwire surge protector as you can conveniently and firmly attach it to the internal parts of your RV. This device is often available in the specific compartment wherein your wiring takes power. One advantage of this device is that it stays on each time you are connected. This eliminates your worries as far as safety and protection are concerned. It also has a lower risk of getting stolen since you can install it by directly wiring it to your vehicle. 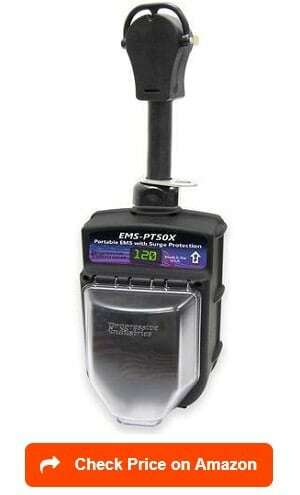 Portable – If you do not want to deal with the hassle of installing a surge protector then go for the portable type. It is convenient and easy to use as it does not need a complex installation process. All you have to do to use it is to connect it directly into an electrical pedestal’s outlet. Portable RV surge protectors can also send a warning regarding possible dangers caused by spike fluctuations. Moreover, it will alert you in case of high and low voltage caused by faulty wiring. As its name suggests, an RV surge protector is meant to offer protection to the electronics inside a recreational vehicle. Such ability to keep all your onboard facilities and electronics fully protected is one of its benefits. It is very essential as you will find it useful in plugging in your laptop and TV. It is also good for those who constantly deal with unstable weather conditions as well as certain power issues. It guards your RV and ensures that it does not deal with a fluctuating voltage that might cause a number of destructive electrical issues. What is good about these surge protectors is that you can now find their high-end versions that are capable of monitoring all aspects related to power. For instance, it constantly keeps track of any increase or decrease in power requirements that might damage your electrical parts. Also, there are instances when RV parks get full, causing a lower quality of electrical power. This might damage onboard appliances such as your refrigerator and AC unit. You can prevent such damages with your RV surge protector. It does so by cutting electrical power, bringing it back only at the time when the situation improves. It acts as your vehicle’s first line of defense, especially in terms of protecting your onboard electrical appliances and systems. Each time this device detects a specific situation that’s harmful to your vehicle, it works by immediately cutting power. Poor or faulty wiring – While the majority of RV parks today are complete of all the things you need, there is still a chance for you to stay in an older RV park with older electric systems. This might cause you to deal with systems with a faulty or poor wiring. The wiring in these old parks might also have damages because of the long years of being used. While it is possible for you to check the power in a park through a voltage meter, you will still find your RV surge protector to be more useful in guarding you against the issues that might be caused by a faulty and poor wiring. 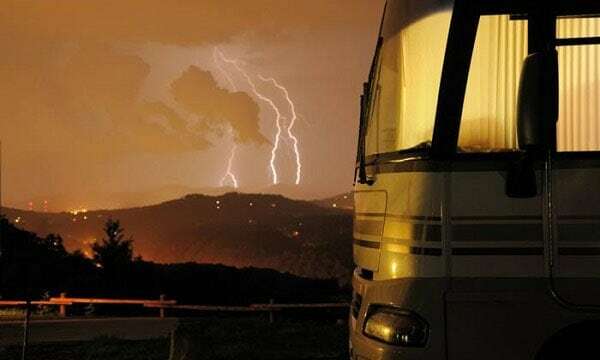 Low or high voltage – One great thing about an RV surge protector is that it offers a barrier between the electrical systems of the park and your RV. This means that it can also safeguard your electronics from low and high voltage. Note that power spikes occur quickly. In most cases, it can be triggered by lightning. Yes, you can protect yourself by unplugging when there is a storm but it is more beneficial to have some sort of effective protection with the aid of a surge protector. It keeps your RV safe during low-voltage situations that might seriously harm your electronics and appliances. Note that low-voltage situations often happen during the summer as this is the time when an RV park gets full of vehicles with owners using their air conditioning units, demanding too much power. With its ability to offer protection from the mentioned issues, it is safe to say that having a surge protector around is indeed a wise investment. Remember that your RV serves as your mobile home with plenty of wires and electronics inside. It prevents you from dealing with adverse effects caused by a malfunctioning external power. It helps to avoid possible damages caused by spikes and fluctuations triggered by faulty connections and excessively high or low voltages. With that, you can lessen the risk of dealing with costly damages in your electrical systems as well as the possibility of getting your motorhome fried because of irregularities in power. LED display – It is an excellent feature in an RV surge protector as it plays a major role as an indicator or caution. 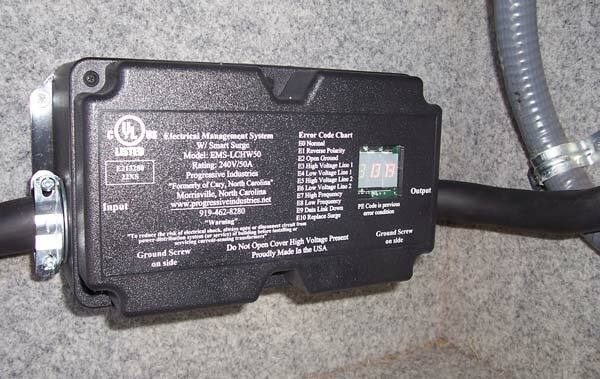 A unit with a LED display can give information about the metrics and stats regarding the electrical systems you connect your RV to. With that, you have a guarantee that it is both safe and efficient. Make sure that the display is bright and should provide details that are not that difficult to read and understand even if it is daytime or night time. It should also be big enough, so it can clearly display the information you need. Some displays in RV surge protectors come with small, colored lights. With such lights, you can see relevant information, giving you an idea about how safe your system is. An easy to understand display can help you easily understand how your vehicle uses electricity and the specific electrical threats that you are dealing with. Automatic restart and shutoff – Another feature that lets you enjoy the many benefits of an RV surge protector is the automatic restart and shutoff. With this feature, you have an assurance that it is capable of shutting off all your electronics automatically each time it spots electrical issues or power surge. The automatic restart feature, on the other hand, will automatically restart your electronics once the threats to them have already passed. With that, there is no need for you to shut off and restart your electronics in case of an emergency. Weatherproofing feature – Remember that you will be dealing with changing weather situations once you decide to be on the road or travel with your RV. There are also instances when you have to install the surge protector outdoors or use it during extremely wet, hot, or cold situations. A weatherproof surge protector is a major help during those intense weather conditions. It can prevent you from dealing with a lot of danger while you are on the road. It actually depends on the model and brand you have chosen to buy. The good news is that many of the RV surge protectors today are designed to be weatherproof and waterproof. In other words, they are designed in a way that you can expose them even to the harshest elements and weather without worrying about potential damage. What is good about most of the brands and companies offering RV surge protectors is that they offer a comprehensive warranty. Some offer warranty for 3-5 years. More trustworthy brands, like Progressive Industries, can even provide a lifetime warranty, which covers the parts, materials, internal electronics and workmanship, especially those contained in the housing of the unit. Are RV surge protectors necessary? Yes. If you own a recreational vehicle and you drive it often, then it is also a must for you to invest in a high-quality RV surge protector. It is one of the things that can keep you safe while you are on the road. Remember that your RV works just like a huge roaming house filled with several electronics and wires. Each time you move and drive it, then park it at a campground, you hook it up into a pedestal. In case something is wrong with such power, then you are putting yourself and the contents in your RV at risk. With the help of the surge protector, you will have your own first line of defense from bad and poor power. Note that you can install it in between the main power line and your vehicle. It is also either hard-wired or portable. Such gives your electronics the protection they specifically need from bad and poor power. This device is also designed in such a way that it cuts the power to your vehicle in case it turns bad or dangerous. Investing in and installing the best RV surge protector is really necessary for your safety on the road. Fortunately, you are now a more informed buyer with the key features and factors to consider that we have laid out in the article. Choosing the best protector is also easy with the help of our short yet extensive reviews. We would like to thank you for reading this article. Find out more about how to choose the best RV solar panels and best RV generators with our reviews and ratings. Furthermore, please take a look at the best RV converters, best RV inverters and best RV batteries to buy the right one for your RV power and electrical supplies. I have a SSP-50X less than a year old, it has one green light and two blue lights instead of the usual 2 green lights on. Should I have two green lights on and if so what is my problem. Is orogressive industries still in business? Their phone is disconnected and I cannot find the website anymore? Sure, here is their website: progressiveindustries. net, did you check this one?